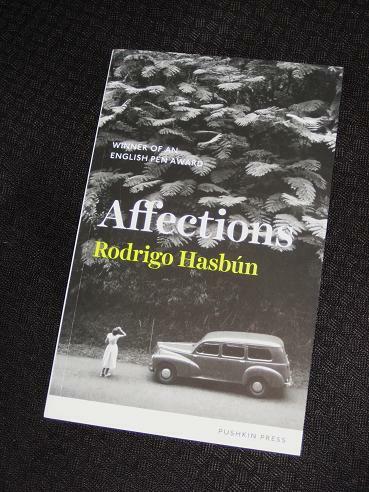 Looking back at what I’ve written, I suspect that I haven’t really explained the book as well as I might have, but that’s partly owing to the nature of Hasbún’s novel. A lot remains unsaid, and it’s up to the reader to decide what to take from the story. The writing is excellent, calm and measured, yet compelling, whether it concerns descriptions of rainforest adventures, nights of passion or the tense wait for battle. As we circle around to end the novel with Hans, who has been absent for much of the book, we are forced to reflect on the events of the years separating it from the start. Affections, then, is a work which can be read in several ways – but it’s certainly one which can be read many times too. Great review Tony. I thought this was an excellent book, which had so much to say for what is quite a slim volume. I liked the different narrative voices moving the story along, and the fact that the atrocities were not in your face. And yes – I can imagine myself going back to this again and getting even more out of it than I did on first read. I, too, liked the use of different narrators and the gaps in the text it created which the reader can then inhabit. Part of me wondered why the writer had sought to exclude all external influences (especially politics) from the novel, which can make the focus on one woman seem self-indulgent when looked at from a wider perspective, but that’s really asking him to write another novel entirely!